Nothing makes it easier to achieve, and maintain a higher level of fitness than seeking a state of alignment. On the other hand, a state of misalignment can make it almost impossible to make even meager progress no matter how hard you work. Fitness alignment is when the habits you follow flow along with the countless other influences you have in your life. For example, if you love working with free-weights, then doing a bench press is in alignment with your preferences. Just had a knee replacement? Then doing 100 box jumps would pull you out of alignment and therefore be a bad choice. The key lesson is that achieving either a positive or negative result from a particular method doesn’t depend on that method specifically. It depends on wether or not that method pulls you into or out of alignment. Will doing 100 push-ups a day make you bigger and stronger? It depends on if that will bring you into alignment with your desire to do that, your schedule, your skills, your experience, your current strength level and attitude. So for some people, yet doing 100 push-ups a day will be very beneficial. For other’s it can be a bad thing because it doesn’t align with such influences. Understanding the importance of alignment is the key to Fitness Independence. No method is inherently beneficial or detrimental on its own. Instead, it’s the alignment that makes it so. 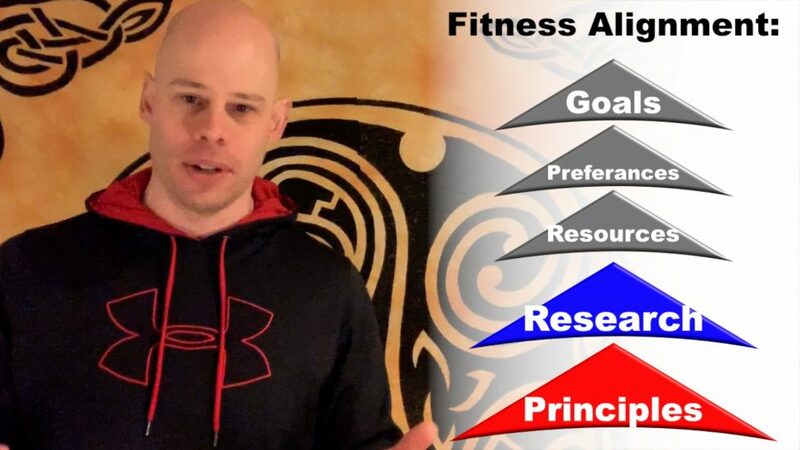 Stay tuned for future posts on how to achieve better alignment in diet, exercise and lifestyle to create a custom plan that works great for you.